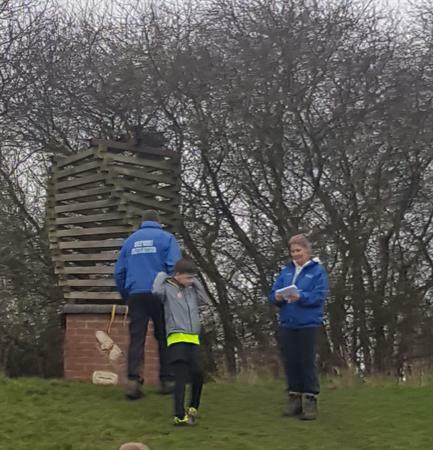 There were a number of Maidensbridge successes at the Dudley Schools Cross-country Championships at The Baggeridge Country Park today. 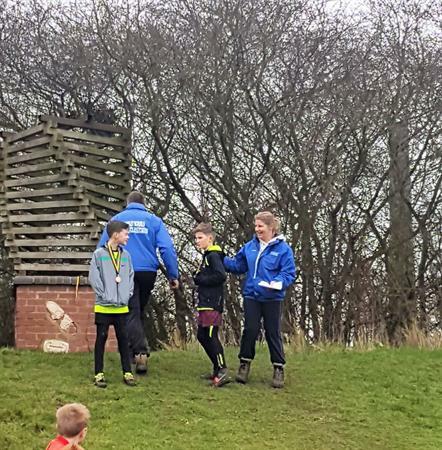 Following our double team win in last year’s championships, it was always going to be very difficult to defend our boys’ and girls’ titles. 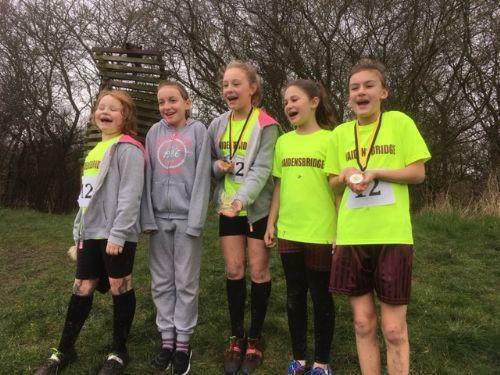 However, there was individual success in the girls race for Erin in Year 6, who won the girl’s title with her class mate Mya taking the silver medal. 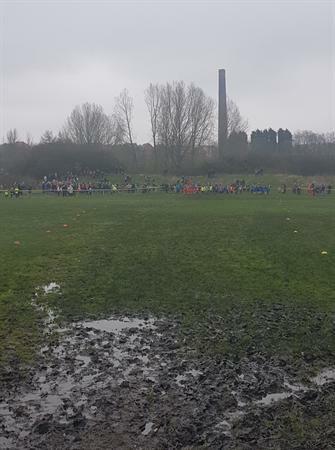 Not to be outdone, our Year six boys also got amongst the medals with Tom winning silver and James taking a bronze. 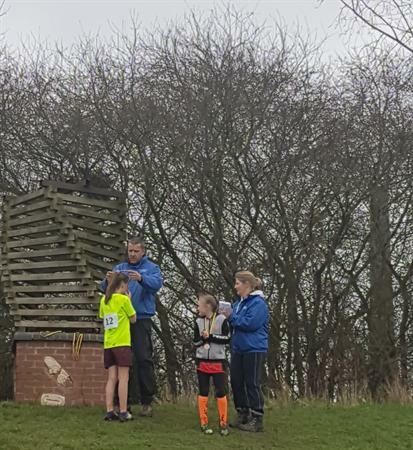 All four children now go forward to represent Dudley at the Inter-area Championships in April. 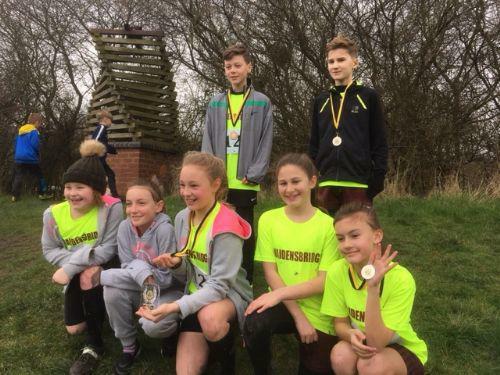 These individual successes were supported with excellent performances from their team mates who were competing in their first ever cross-country race. 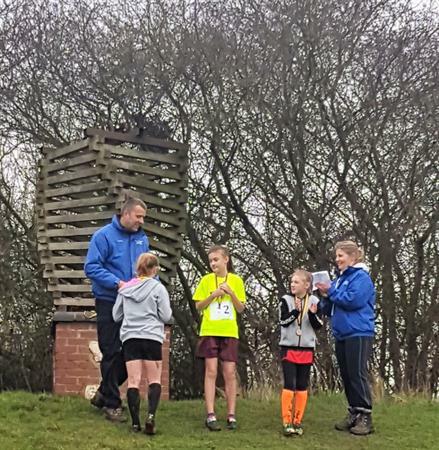 This was demonstrated with some inspired runs from our girls, who took a silver medal in the team competition. 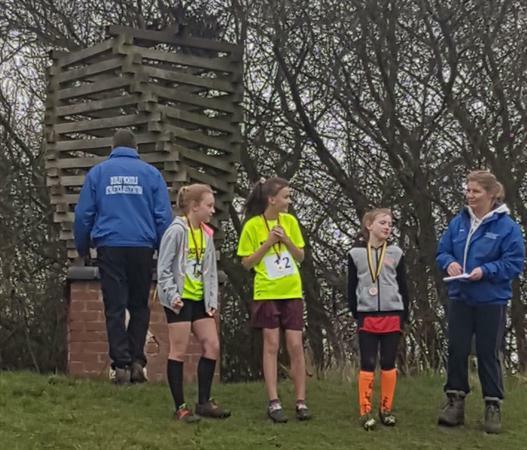 Having attended cross-country sessions over the last few months, our younger members of our teams have gained valuable experience that will propel them to greater cross-country success in the future. As always, a huge thank you goes out to our parents who are always unfailing in their support for our school. 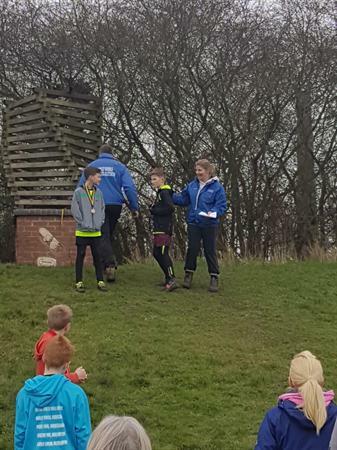 Our gratitude also extends to Vicky Charlton who has given up her time to coach and inspire the children every week.